A 60-year-old man died after he was stung by bees 19 times Saturday afternoon. The man was found lying face down on a hill in the county of Hadong, South Gyeongsang Province, around 5:50 p.m. by a relative, who called the police. The man had called his relative at around 5:20 p.m., saying he had been stung by bees. He had gone up the hill alone to weed an ancestor’s grave for the second time that day, having already made the trip with his relative in the morning, according to police. He was wearing a short-sleeved T-shirt and climbing pants. A Weedwacker was found nearby. Police found 19 bee stings on his abdomen and arms. Police said they believed the man had died of anaphylactic shock from the bee stings. In September, Koreans customarily trim or remove the weeds around their ancestors’ graves, which are often located in hilly areas. 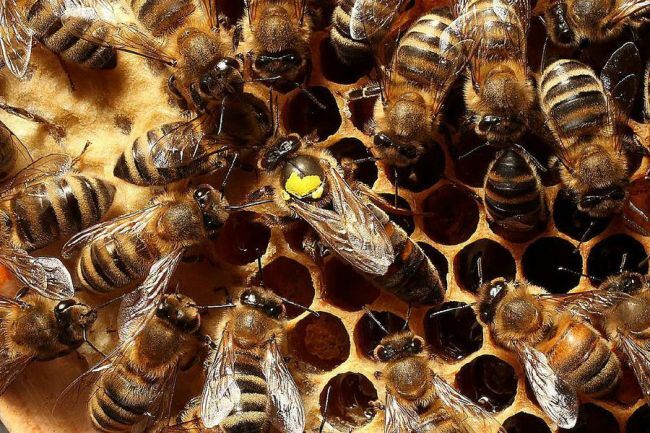 Also on Saturday, two men were transferred to the hospital after being stung by bees on their heads and knees while tidying up graves in the morning on a hill in Changwon, South Gyeongsang Province. Their bee stings were not life-threatening, according to the hospital. The 119 officials who transported them to the hospital advised the public to wear hats and long-sleeved clothing when weeding and to watch out for beehives.